William “Bill” Phillips is senior vice president and CIO for University Health System (UHS) in San Antonio, Texas. He oversees the organization’s IT division, including system operations, applications, strategy, planning and integration for University Hospital and the health system’s network of outpatient locations across Bexar County. UHS is the primary teaching facility for The University of Texas Health Science Center at San Antonio and is the lead trauma center for South Texas. UHS has multiple locations, including the Robert B. Green Campus, Texas Diabetes Institute, 13 neighborhood clinics, five urgent-care clinics and four outpatient renal dialysis centers. Q: UHS uses an integrated acute and analytics solution from Allscripts. How has this solution impacted the care of your patients as they move between your health centers and clinics? A: Every C-suite healthcare executive in the country is focused on the triple aim of improving quality, safety and patient outcomes. We want the patient experience to be the best it can, while also improving operating efficiencies. The Allscripts platform provides UHS with a continuum of care between inpatient and outpatient services. UHS uses more than 100 applications, and we credit the Allscripts Open platform with enabling life-saving integrations among them. 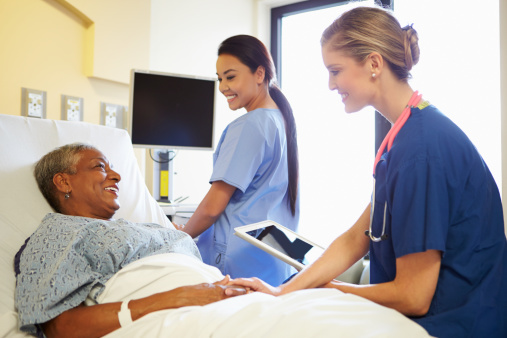 For example, a third-party predictive modeling application taps into Sunrise Acute Care™ to gather every lab result, vital sign and diagnostic data point to alert caregivers if the patient shows signs of deterioration. Because Allscripts enables UHS to integrate all of our applications, clinicians have easy access to all needed diagnostic information in a single location. There’s no need to go to disparate systems to get test, lab or cardiology results because all the data is accessible from one source through Allscripts. The amount of data the Allscripts system manages is significant. In 2014, clinicians entered more than 8 million electronic orders and created more than 16.5 million electronic records. Q: In addition to your own campus, how does Allscripts help you connect patients, data and physicians across your larger healthcare community? A: UHS is at the center of our local healthcare community where many ambulatory providers use EHR systems from other vendors. I serve on a board to foster HIEs throughout the State of Texas. Even though I support local HIEs, UHS implemented Allscripts dbMotion™ because I believe the sustainability model is more reliable. Before Allscripts dbMotion, we had patients going from specialists to inpatient providers and primary care practices where physicians were not able to see critical health records at the point of care because the data was trapped in disparate clinical information systems. With Allscripts dbMotion, UHS has a connectivity platform that enables caregivers to easily access patient records and pass data back and forth for better coordination of care. For example, with dbMotion, we were the first to make records from EPIC available through the Allscripts system and enable to passage of information between the two. This is one of our biggest success stories and most positive IT implementations. Physicians are overwhelmingly positive about the system because they are able to access all patient records without leaving their respective systems. They simply access patient information from other care providers on a separate tab on the same screen. We’re seeing 2,000 unique users access the system each month. This equates to more than 3,000 patients viewed per month. Q: Government decisions at both the federal and state levels are impacting how healthcare organizations administer and collect fees for patient care. How does Allscripts support UHS’s goals in a fee-for-value environment while still helping you be “the health system of choice”? A: Gathering data to make financial decisions was cumbersome for UHS when its budgeting software was separated from its cost accounting solution. UHS has used Allscripts EPSi™ since 2012 to integrate these systems. The most important features for UHS are cost accounting processes, dashboards and data-loading capabilities. The reporting formats in Allscripts EPSi are very flexible, which makes it easy to drill down into the system to access in-depth financial information. For example, daily profit and loss reports enable users to sort information by diagnosis code, payer, specialty or a variety of other fields. Whatever data is needed to analyze budgets, scrutinize expenditures and check in on day-to-day operations is right there at your fingertips. Allscripts EPSi maintains current information, which leads to huge gains in productivity for the accounting team. Our staff is able to help leadership make timely decisions based on up-to-date information about what’s really happening across our entire financial picture. Directors can monitor their financials and make strategic adjustments for better budget control.